Its really satisfying to read an article in the mainstream press that focuses on the right issues on a particular ethical issue. 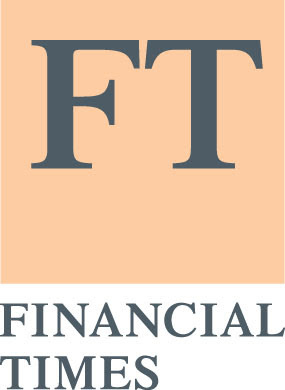 Source of Concern in this weekend's FT satisfied me. The key point it made, and this is one that is often lost when ethical activists demand bog-standard, black-and-white fairtrade or other certification, is that 'sanitised production' as required by ethical trade standards that are now widely demanded in the UK (among other developed countries) and which big retailers ignore at their peril (remember the outrage over Primark revelations in the summer?) can have the effect of, simply put, keeping the very poor,those that are most reliant on traditional methods/handicrafts and most unable to break socio-economic barriers to employment diversification, out of the supply chain, ie, out of a livelihood. Thus when Primark dropped its suppliers because of labour standard violations, they were rightly chastised for throwing the baby out with the bathwater and well and truly behaving unethically. The right thing to do would have been to stick on and improve standards within the supply group they worked with (Primark countered this with the claim that they refused to work with untruthful agencies that denied subcontracting when it was actually going on, but that's pretty lame given Primark's own record of honesty was severely under question here). The big issue that needs addressing is how to stop the more fortunate (albeit impoverished by Western standards) workers/suppliers from being the only ones who can be employed. At the end of the day, what do ethically-aware consumers in developed countries gain if a poor tailor's family outside Delhi goes hungry and even loses a child or two to sickness if they could have averted that by earning a tiny wage, no matter how abysmal the amount. Even .00001 is more than 0 and for many of the poorest workers thats where its at. Solutions in this area require, first and foremost, an understanding of what we are trying to achieve by seeking better standards for poor labour in developing countries. I think the first 'phase' of this understanding is pretty clear now and is espoused in the principles of fairtrade, child free labour, health and sanitation requirements for workers, minimum wage and other like doctrines. --Developing country governments don't always themselves have a clear idea of what the minimum wage should be, indeed, in some cases they keep this low so that business keeps coming in. So assurances and certifications from them need scrutiny and international pressure must be applied to shine some light on what's really going on and rationalise legislation. --We need to get past the fashionable fixation for formally certified goods. Its now almost de rigueur to pay more for these and feel good about it but the public's knowledge must be clarified. Having a certification can often mean that the supply/worker groups were well-off enough to get all the logistics done but even without the stamp of approval they would have been pretty okay and certainly much better off than less fortunate workers who couldn't afford the certificate but really needed the money more. The ethically aware public has to understand that certifications alone aren't making peoples lives better. --There is no need for the less fortunate, less able to adhere-to-formal-logistics and less visible worker groups -- homeworkers are a great example here....their the ones that take work home rather than sit in a factory all day because they need to also look after children, livestock etc at home -- to be marginalised but this requires a lot more administrative energy and systems on the part of retailers/organisations in the developed world. This is something that will require public pressure (why would a business-minded company take this on if it could get away with certification alone?) and ultimately will cost something that must be passed on to consumers. Better to pay for this than the shiny label or stamp of approval on your next coffee purchase. Aside from all this, what's important is that all the complexity doesn't cause exasperation which leads to frustration on the consumers' part about what they are really paying for, what good they are actually doing, when it comes to demanding better standards for foreign labour. Lately magazines have taken to publishing lists of things the credit crunch has happily rid us of (here, for example) and 'over-priced, organic goods' (or something very like that) appear fairly regularly. While this tells me that there are many ultra-shallow people who (i) don't have a clue about better products but want to blah-blah about them anyway and/or (ii) spend on better products not to save the planet/its people but to impress the neighbours, it also tells me that the whole issue of demanding better labour standards could get a bad name among consumers if it falls under the rubric of 'over-priced stuff that claims to be doing good but really isn't' type thinking. Get my drift? The marketing strap lines of ethical consumerism aren't hard to follow, largely because, there is some intrinsic value human beings attach to doing good for others (no, its not all smug, upwardly-mobile, essentially hollow one-upmanship). But the work behind making these strap lines 'real' and not just marketing speak, is much more complicated. But it's got to be done.